Browse : Home SEO How Is The Authority Of Websites Determined? How Is The Authority Of Websites Determined? If you are a veteran in the field of SEO, you must be aware of the fact that whenever there is a mention of your brand name or you get a backlink, it is of great value. In other words, if you are popular whenever the subject of digital PR comes up, you can be rest assured that to a great extent you are visible to the visitors of the virtual world. Oftentimes, there is mention of authority websites and authority web pages, how does a web page become “authoritative” This is what has been discussed in this write up so that you can get an idea about the same. In the initial stages, Google used what is known as PageRank. In this the number of links your website or web page received was counted and a particular score was worked out to determine the Page Rank for that particular web page. This was regarded as valuable and something that every webmaster banked upon. However, this parameter alone was enough to determine the authority of a web page despite the fact that the actual words used in the web pages were also taken into account. Unlike the times when Page Rank was considered as one of the important parameters these days content and back links still make a lot of difference but the search engine major has adopted a different metric altogether. It is known by the name Google’s RankBrain system. According to the new system alongside few other essential metrics, it is assumed that there are more than 40 major aspects that play a crucial role in determining the authority of any website. In fact, experts are also of the opinion that 40 signals is just the tip of the iceberg, there are more than 200 signals that decide about the same. When you receive a back link, it is essential to find out the authority status of the referencing website and its brand value. If it comes from a high authority website, the mention of your brand name will carry weight. 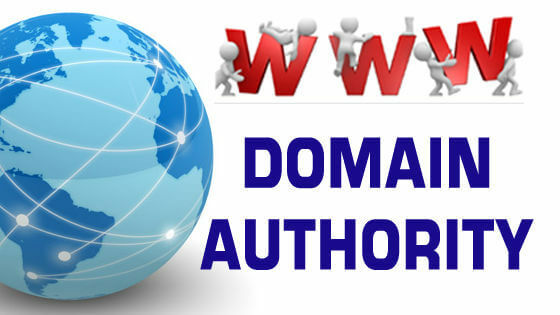 One of the most prominent ways to decide the authority of a web page is by so called metric Moz Domain Authority or DA. This is a measure that will enable you to assess the authority of a website on comparison with other websites and will also predict the chances of ranking of the websites appearing in the search results. The Dofollow links are more valuable as compared to the nofollow links. While the former pass SEO authority, the latter do not. Websites with more number of dofollow links carry more value and consequently are considered higher as compared to websites that have nofollow links. Basically, the content that is created is published in either of the 3tier of websites, namely, High authority websites, Mid authority websites, and Low authority websites. While the last one usually include the individual blogs and posts, the mid include websites like SearchEngineJournal and SearchEngineLand and CNN, Huffington Post are high authority websites. Being mentioned or linking with these well known websites carries greater value for your content. MOZ tool has been by go to tool for DA. Also I think MajesticSEO would be a good addition to the list. It helps you determine website's trust flow. 2 things I usually look for when looking for backlinks are Page authority ( PA) and Domain Authority (DA). You get both from Moz tool.